Ever wondered how to make coasters? 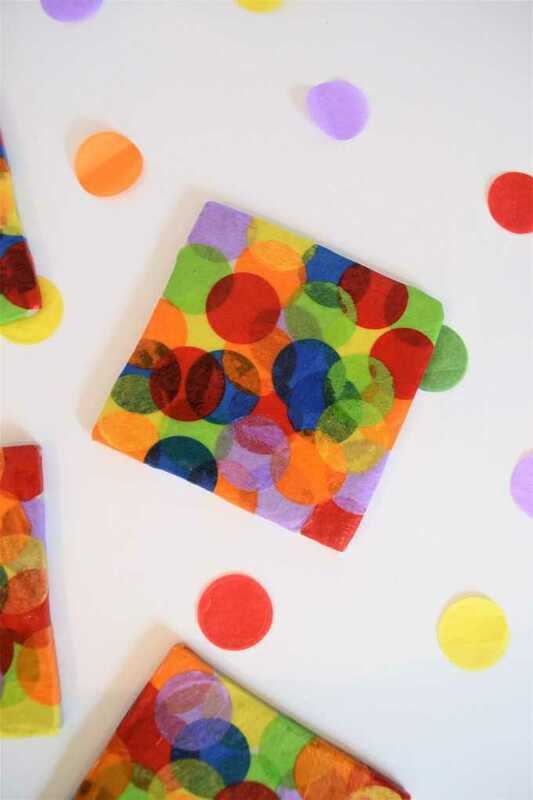 Today, I’m sharing easy mod podge coasters with tissue paper circles! You only need a few supplies and a couple of minutes to make these coasters which are perfect for gifts! Sometimes, it’s the simplest crafts that are the best. 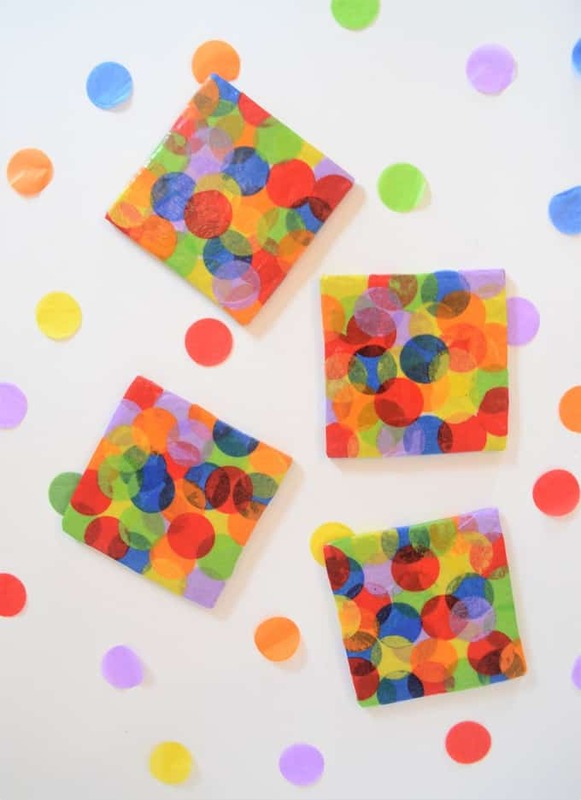 These easy confetti coasters use Mod Podge, tissue paper, and stone tiles to create a colorful and FUN DIY project. These make the perfect, inexpensive gift, and, while you’re at it, make a set for your own home! Step 1: Working one tile at a time, cover your tile with Mod Podge. 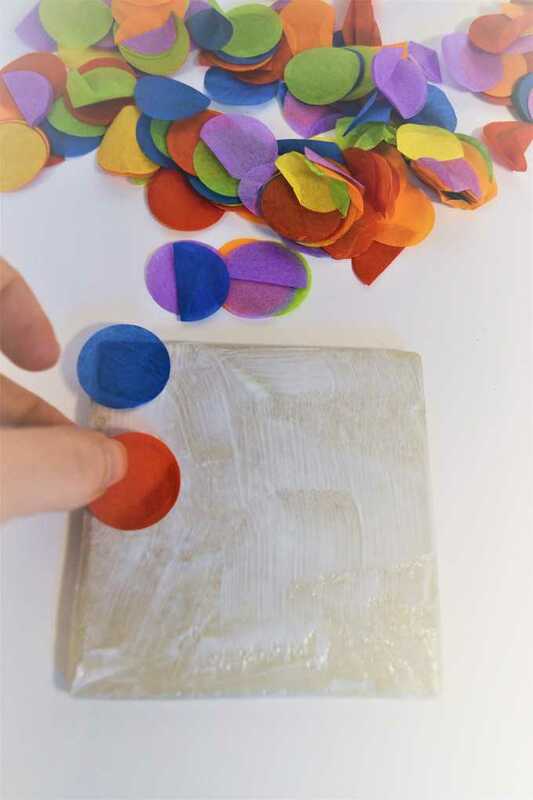 Place your tissue paper circles over your Mod Podge. You’ll have to do this a couple of times (letting your tile dry in between coats) to make sure your entire tile is covered. Make sure you also cover the edges for a more polished look! Once done, seal your tiles with three coats of Mod Podge, letting your tiles dry completely between coats. I think these turned out so CUTE! And this technique works on all kids of surfaces–ceramics, glass votives or vases, etc. Mod podge + tissue paper = endless possibilities. 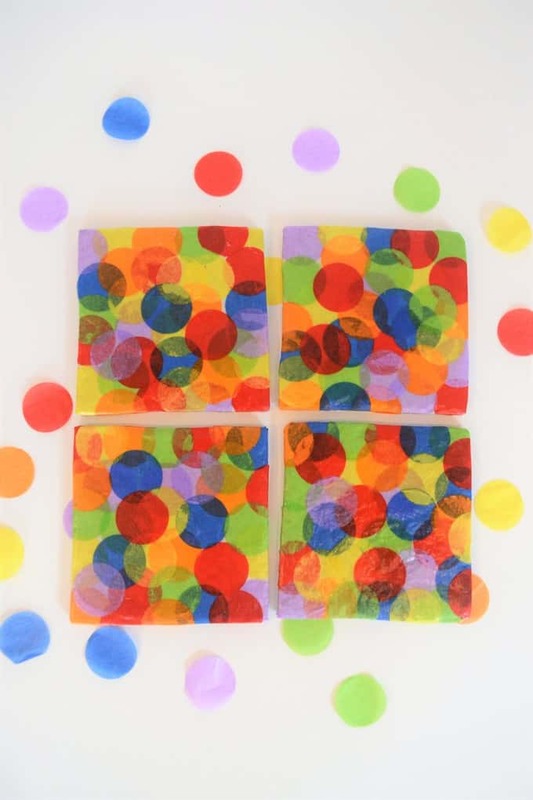 What is your favorite way to craft with Mod Podge? 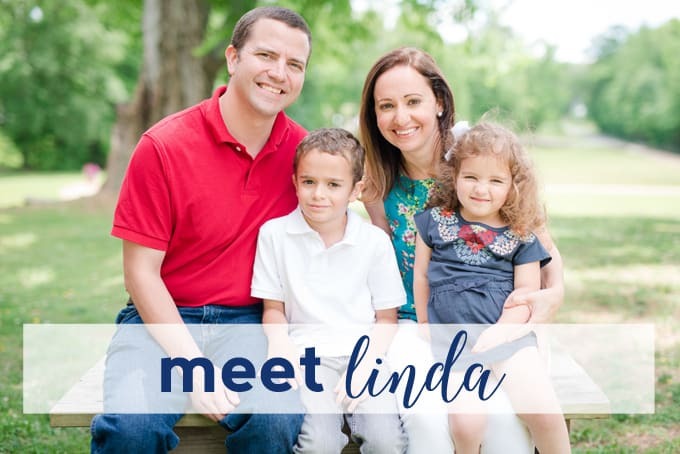 I’ve made many Mod Podge crafts throughout the years…like this ever-popular personalized photo planter! 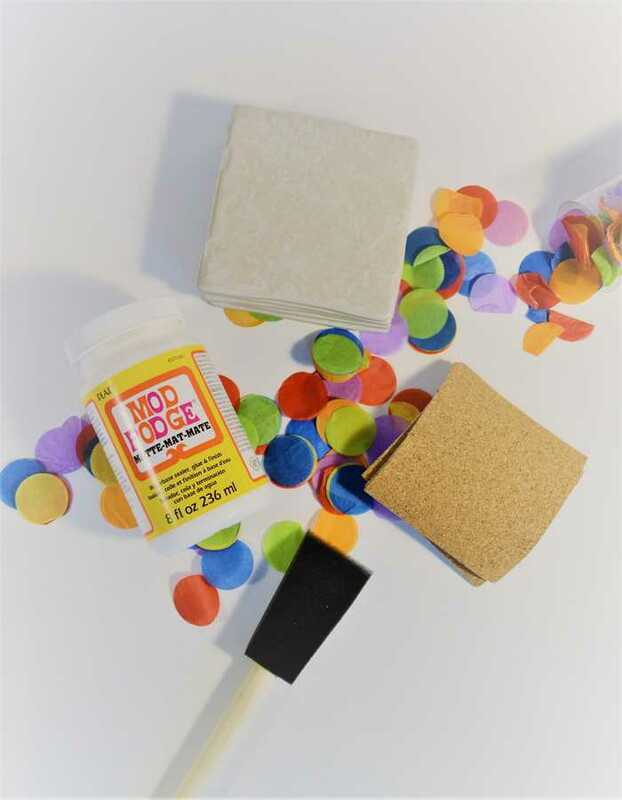 And if you love Mod Podge, definitely check out Mod Podge Rocks, for ALL the Mod Podge-goodness you can handle. 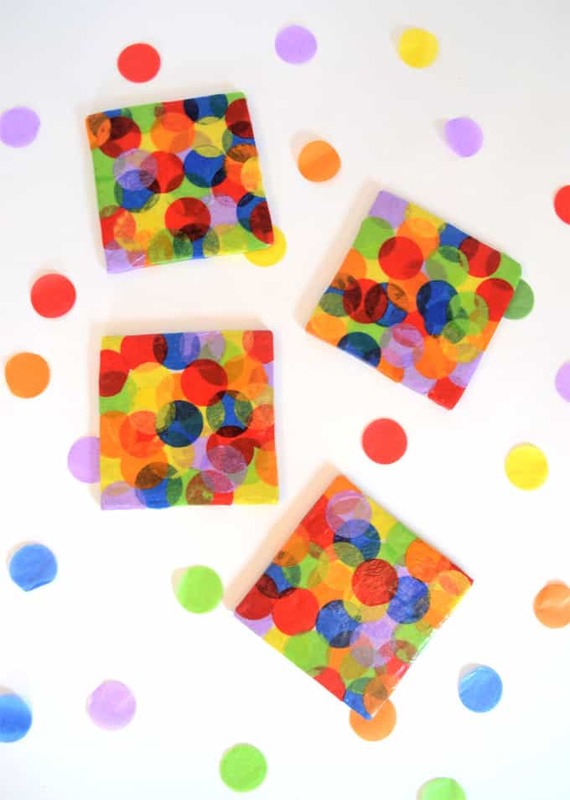 Thanks for reading all about my DIY confetti Mod Podge coasters! Have a crafty day!